One of my favorite games is the park builder Jurassic Park: Operation Genesis. It was released back in 2003. The recent Jurassic World Evolution was a solid successor to JPOG, but Parkasarus, an indie game in Early Access on Steam, actually captures the feel of JPOG better. And it looks cuter doing it, too. 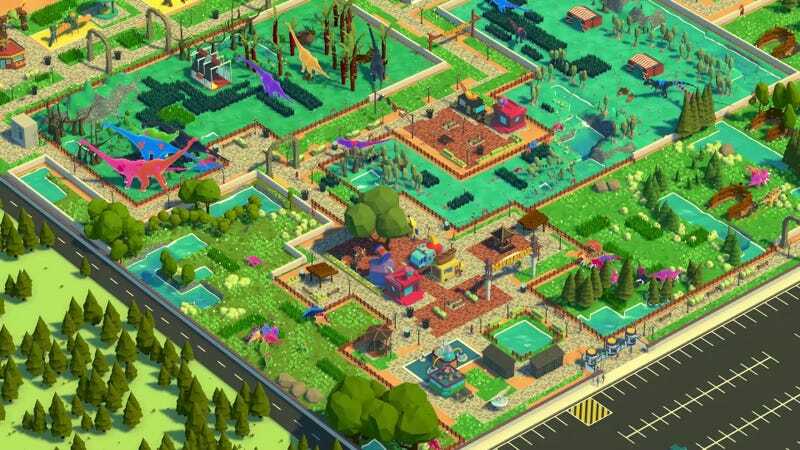 Developed by Washbear Studio, Parkasarus is a colorful and cute take on the dino-themed park builder. While Evolution and JPOG went after more realistic visuals, Parkasaurs embraces the silly and fun nature of building a dino park. From the visuals to the writing and to how dinosaurs are bred, everything is a lot more cartoonish and funny.